Tell us about your association with Ravi Teja and Guna Sekhar in the early days of your career? I went to Chennai in 1983 to do engineering and joined Telugu film industry after that. Anuradha who used to do item numbers at that time has her own house and she has converted her car garage into a two storied rental place. We were bachelors at that time. Guna Sekhar used to stay in the downstairs and I used to stayed in upstairs along with Bulli garu. After Bulli got married and went out, Ravi Teja joined me as a roommate. Three of us belong to the same compound. I used to listen to lot of success stories like NTR (and TV Raju), Chiranjeevi (Sudhakar and Hari Prasad), Ilayaraja (an Bharati Raja). I used to wish that something like that should happen to me as well. I am very happy all three of us have settled well in our dream film industry. I enjoy works of other directors and I know that I am incapable to handling certain kind of scripts though I like them a lot. That is when I realised that I should start producing movies with the directors I like and with the scripts I like. I used to tell Ravi Teja in his struggling days that I will produce a film with him as a director if he didn’t flourish as an actor. Ravi Teja’s mother and my parents used to treat both of us as brothers. 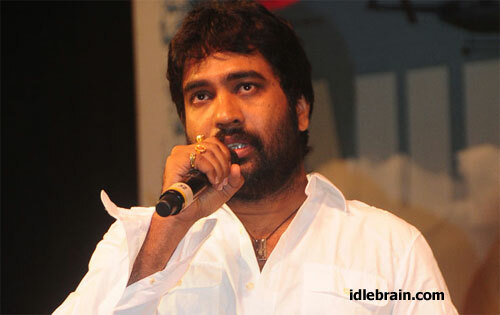 Guna Sekhar is known for huge sets and extravagant filmmaking. You are known for uncompromising production. Ravi Teja’s is known for economy in budget and working days. How did you guys gel? I feel that the subject demands budget. If you look at Guna Sekhar’s Choodalani Vundi, Okkadu and Arjun - the sets of slum area, Charminar and Madhura Meenakshi temple are integral part of the script. It is almost impossible to shoot at real locations. Hence these sets were constructed. My film Seetararaju was done in 86 working days. Films like Lahiri Lahiri, Seetayya and Yuvaraju were shot in around 120 working days. Devadas took many more days because I had Ram and Ileana making their debuts. It takes a lot of time on real locations to get it perfectly for first time actors. Ravi Teja’s is known for his energy and quirky dialogue delivery. He believes in content and makes sure that film is delivered in minimum number of days. he cares for producer and makes sure that there is no wastage from his side. Three of us have different mind sets. I went to the sets of Nippu only on 5 days when my presence was required. I have such a faith on my director and on his ability to handle such a good script. But we have healthy relationship even after completing the film. We would like to do another film together soon. Rajamouli, VV Vinayak and Surender Reddy were known as serious film mass directors. Their images changed after they delivered Vikramarkudu, Krishna and Kick respectively with Ravi Teja. What makes Ravi Teja so special? It was Rajendra Prasad who broke the trend that a comedian can become a hero. It is Ravi Teja who took it to the next level by adding heroism to entertainment and comedy. He has the perfect blend of heroism and entertainment. Any sane/intelligent director would love to exploit the strengths of Ravi Teja when they make a movie with them. The result is Vikramarkudu, Krishna and Kick. Guna Sekhar too exploited the strengths of Ravi Teja in Nippu. I have seen the double positive of Nippu. You will be surprised with certain hilarious and entertainment episodes in Nippu, you wouldn’t expect Guna Sekhar to do such fine job in comedy/entertainment section. Having Brahmanandam in a big hero film is a dangerous thing. People will write it off if Brahmanandam’s portion didn’t click? There is a huge response whenever Brahmanandam’s character enters in a film. That’s because of the expectations. Ravi Teja is the super entertainer in Nippu. Brahmanandam played the role of Kasi. It’s a situation character and the comedy drama between Ravi Teja and Brahmanandam is going to click a big time. I would like to thank Brahmanandam for adjusting his dates for Nippu despite being super busy. I knew Brahmanandam since I worked for Janaki Ramudu and I used to call him Masterji. Why is the film postponed from 13 Jan to the 1st week of February? We announced the film on 23 May which happens to be my birthday. We had muhurat shot on 28 May (NTR’s birthday). The regular shooting of the movie was started from 1st August. We have announced the release date as 13 January on the muhurat day itself. I never think of prestige and competition when I release a film. I release film only when I am completely ready for it. The audio will be ready by 7 January and it’s not possible to release film on 13 January. I need a window of one month to promote Nippu aggressively.